The Brigitte M. Sys Fashion Jewelry digital collection is now available in the DMR. This collection features earrings, necklaces, brooches, pins, and bracelets in a variety styles including Art Nouveau and Art Deco. 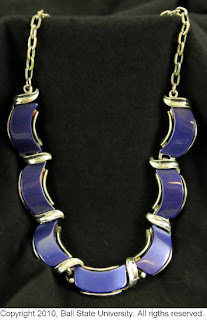 Pictured here is a statement necklace from the 1970s. 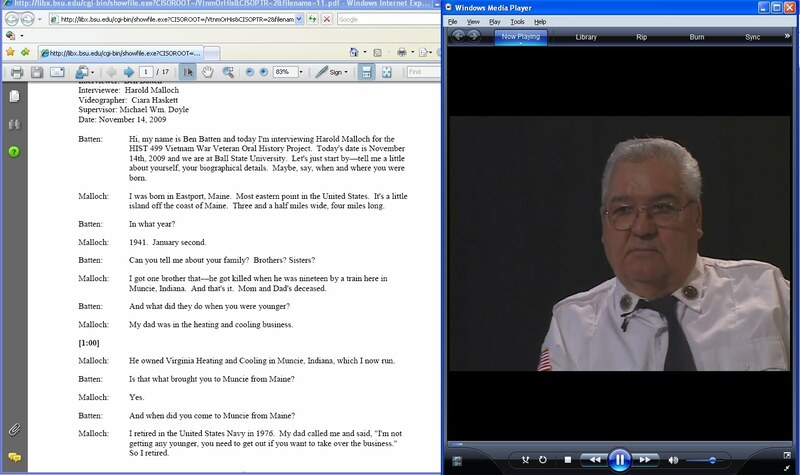 Recently, transcripts were completed for all 26 of the Vietnam War Era Veterans Oral Histories in the Digital Media Repository. They were uploaded as PDFs and are viewable online alongside the videos. online. Transcripts are a valuable element to any oral history project. With the completed PDFs in the DMR, the content of the videos is completely full text searchable. Also, reading the transcripts is a perfect way to skim the interview for relevant content. Timecodes were placed in the transcripts to aide in this type of research. 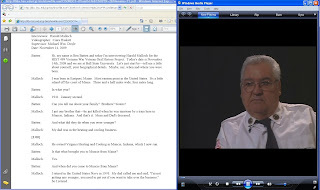 Above is a screenshot of the interface that allows users to read the transcript and view the video at the same time. Made available in March of this year, the oral histories in this collection were conducted by students from Michael W. Doyle's HIST 499 Oral History Workshop course in Fall 2009. The students enrolled in the immersive-learning course learned methods of oral history research and conducted interviews with local military veterans of the Vietnam era. The interviews were recorded using HD technology.